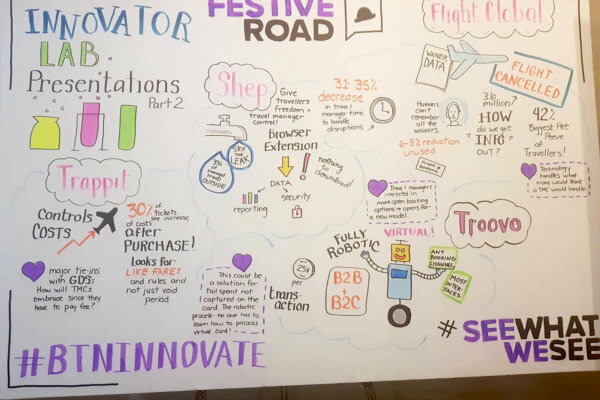 Our work takes us to many travel conferences and requires us to read many industry papers. 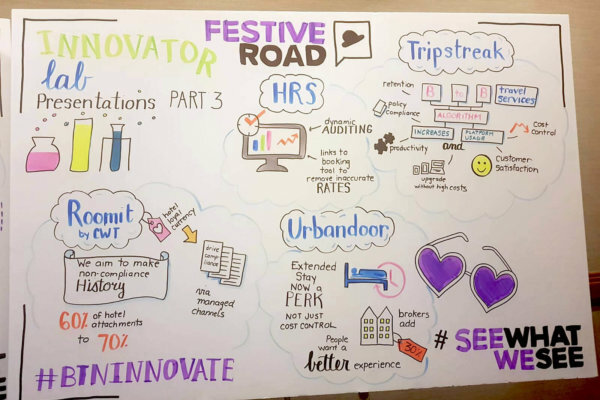 But not everyone has the time to do this and we know how time-pressed you are as travel management professionals. 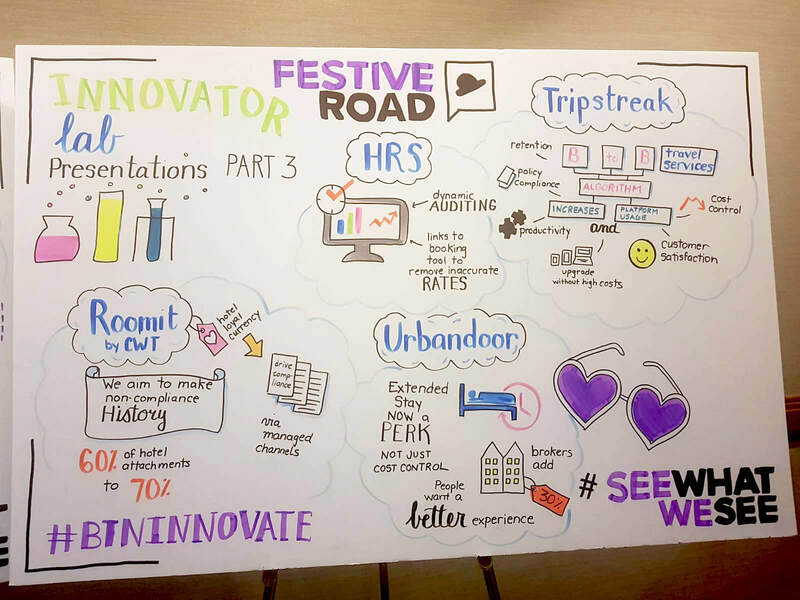 So we thought it might be a great idea for us to provide you with our Festive Road view on those conferences and papers you just can’t get to. 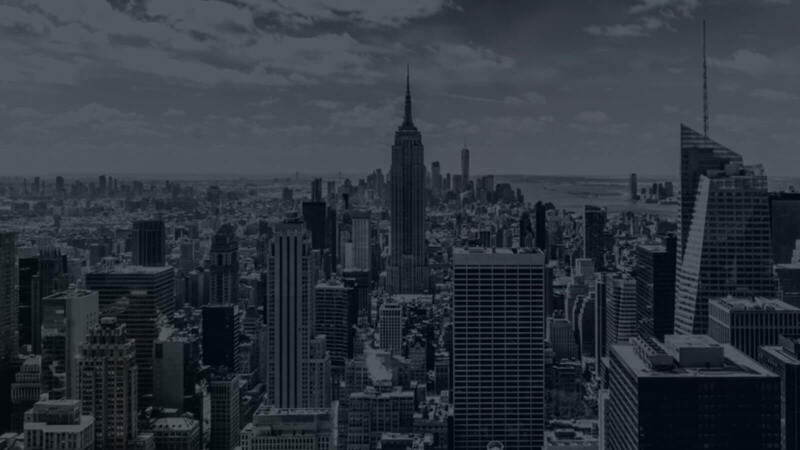 Consider it as a thank you for all the great support you bring us in speaking roles, answering polls or just giving us your perspective occasionally. 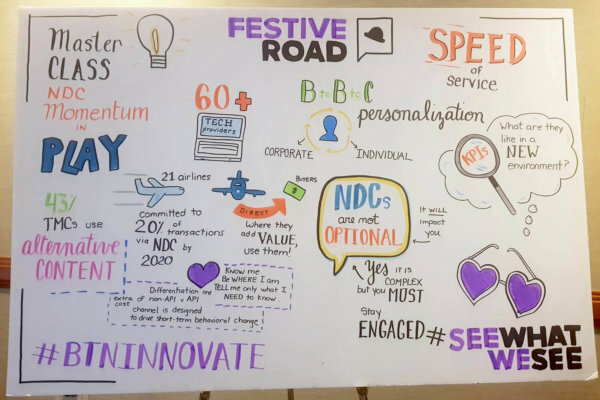 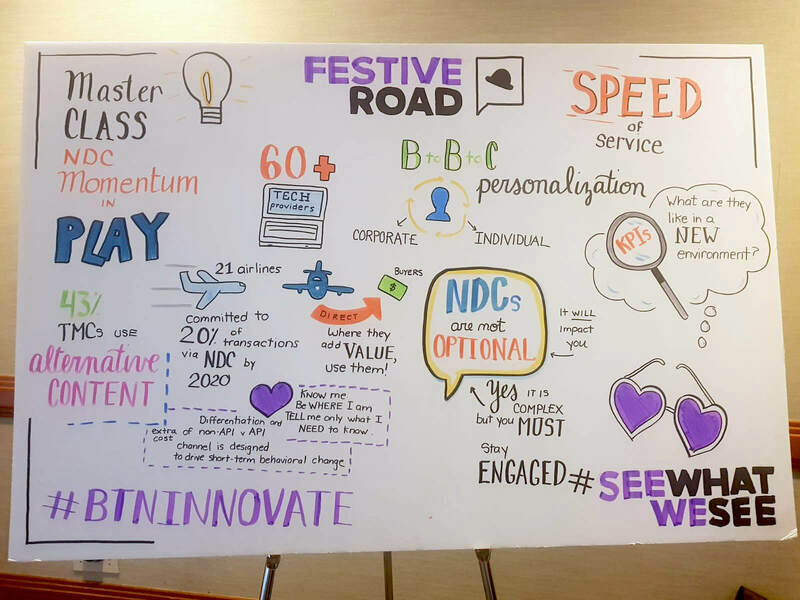 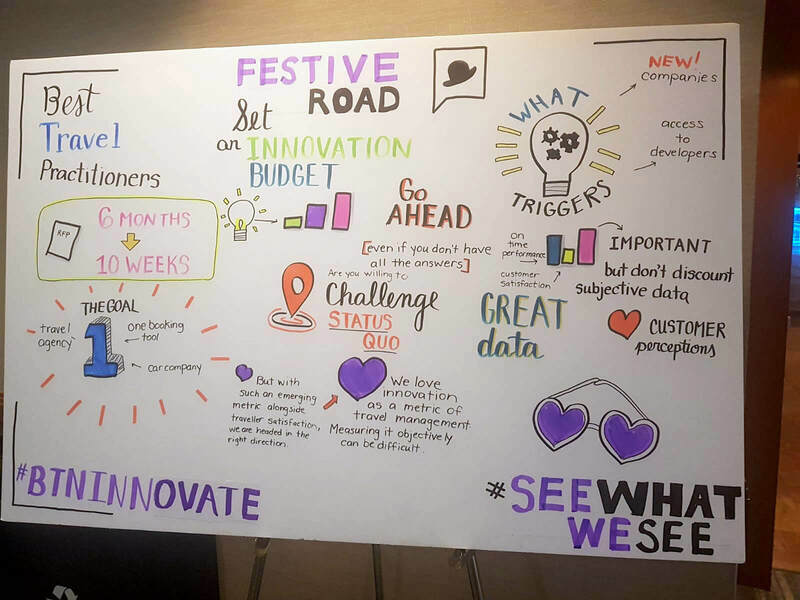 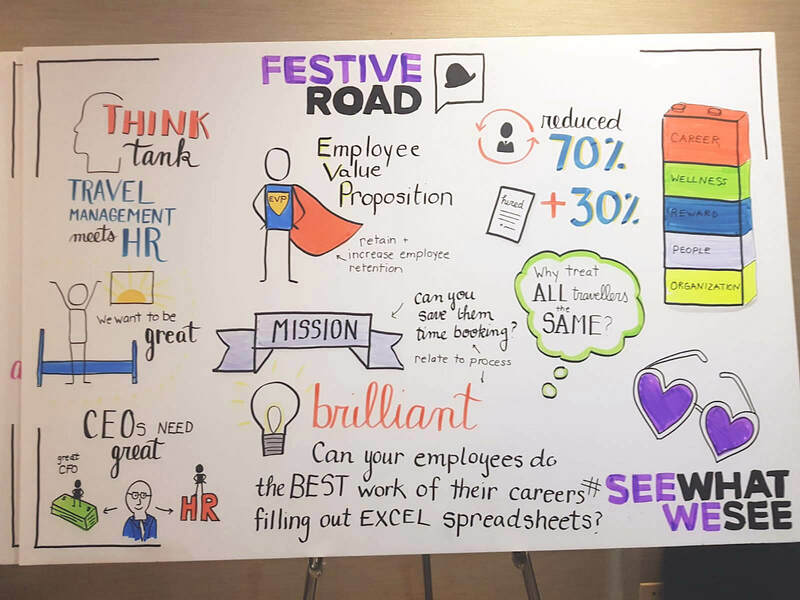 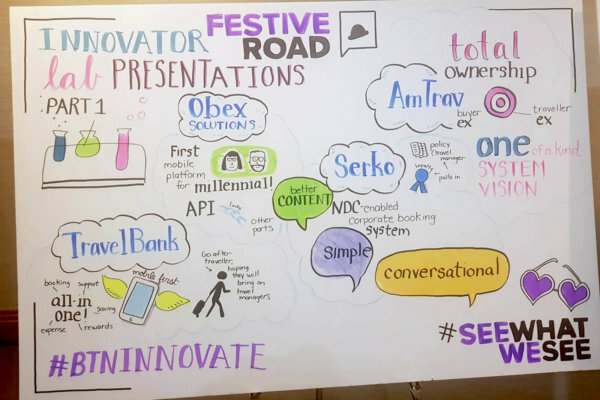 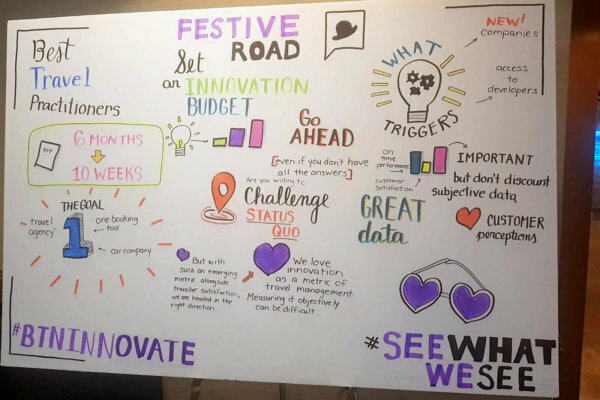 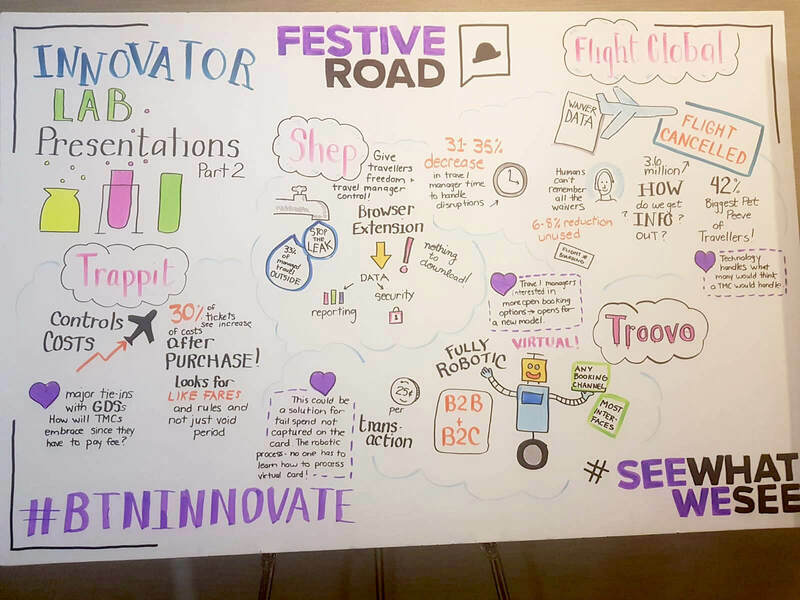 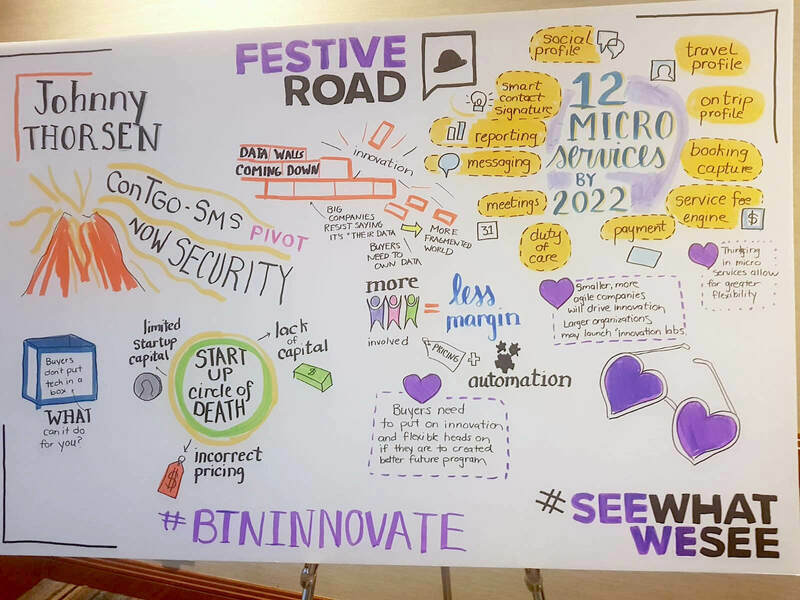 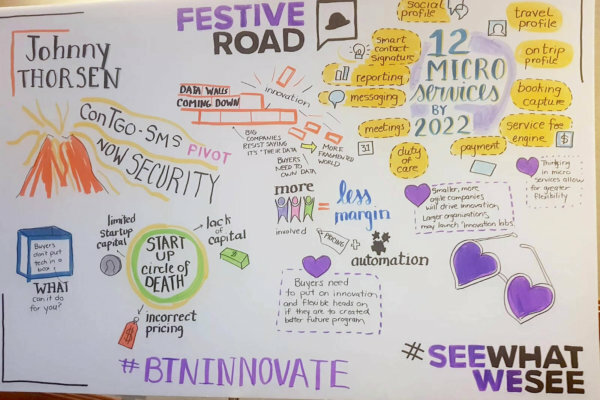 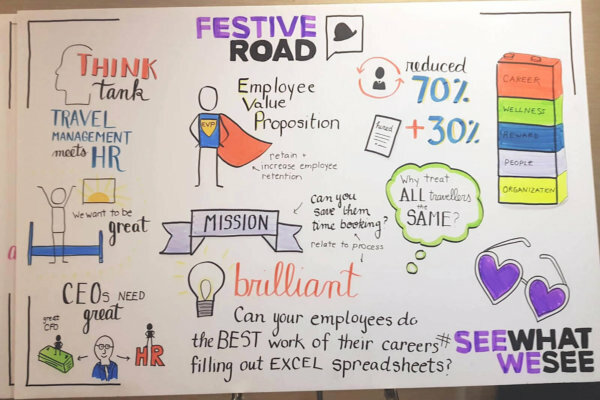 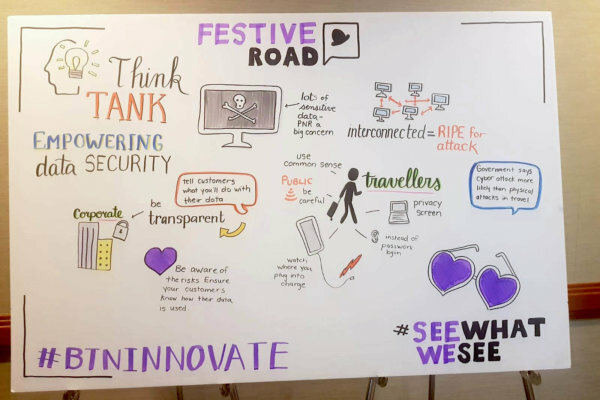 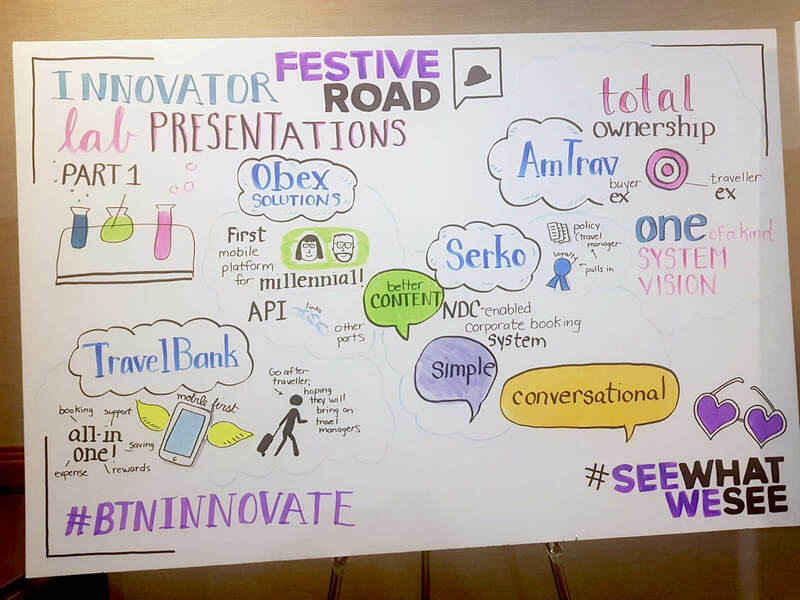 FESTIVE ROAD was a sponsor at BTN Innovate and used a graphic recorder to tell the visual story of the think tanks, masterclasses, keynotes and innovation labs. 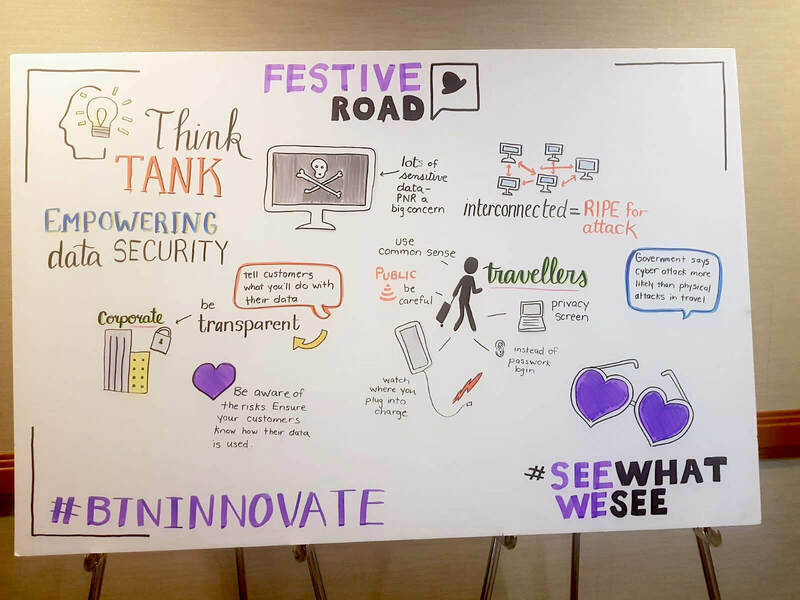 Click on one of the boards below to take a closer look and #SeeWhatWeSee.